Nicaraguans immigrated to North America in small groups beginning in the early 1900s. 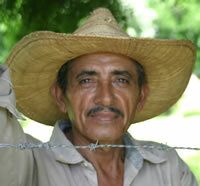 However, due to revolution in Nicaragua, they began to migrate in significant and increasing numbers during the 1970s. They are made up of both white and blue collar workers, with a wide range of socio-economic status. Nicaraguans value family and speak Spanish. They adhere predominantly to the Roman Catholic religion. As such, they celebrate their patron saints with festivals and processions, which also aid in reinforcing their ethnic identity. For God to reveal the truth of salvation through grace alone and not through acts of religious rituals. That existing evangelical churches will recognize that Nicaraguans are in need of hearing a message of grace through Jesus Christ. That evangelical Spanish speakers in the United States will intentionally engage Nicaraguans with the gospel message. Displaying 1-24 of 24 results.